As the old adage goes, everything’s bigger in Texas. Turns out, it’s a bit more yellow, too. To pander to the pickup lovers in the Lone Star state, the Ram Truck brand has taken its newest special edition to the next level. The Ram 1500 Yellow Rose of Texas Edition offers Texan pickup truck lovers the opportunity to celebrate their great state’s glory, while getting the job done. And Manley’s not kidding when he says that the Texas truck market is important. In Texas alone, pickup trucks account for one in five new-vehicle registrations. Compared to the national average, which says only 12% of new-vehicle registrations are pickup trucks, this is an astonishing number. So really, why wouldn’t a popular truck brand appeal to this pickup truck-loving state? 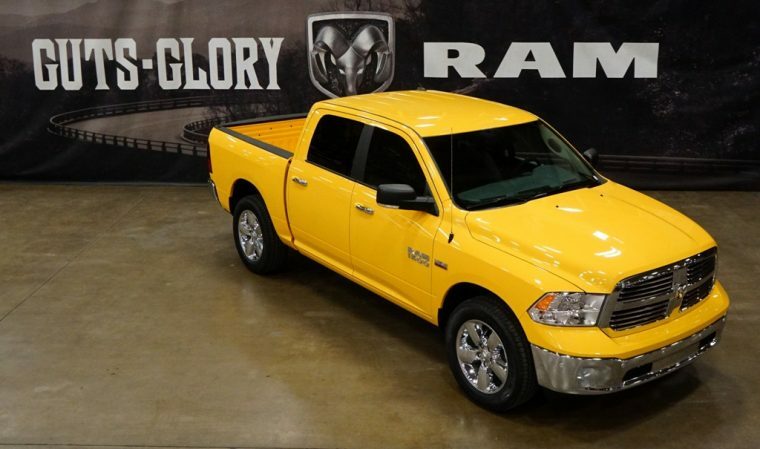 The Yellow Rose of Texas Edition has the body and features of the Ram 1500 Lone Star. It’s named after the “Yellow Rose of Texas” song—which was a Billboard number-one hit by Mitch Miller back in 1955—and features a bright, bright, bright yellow exterior paint job, better known as Stinger Yellow. It comes available with either two- or four-wheel drive, which means it will make any Texan proud. The Ram 1500 Yellow Rose of Texas will go on sale in April of this year. It is one Texas-themed pickup in a long line of them, including Ram’s Texas Rangers concept truck.